Airplane, more like airPAIN! Comfort is not the first word that comes to mind when traveling by plane. Sitting in such a limiting space for an extended period of time can be exactly what triggers back pain, and causes it to stick around for a while. 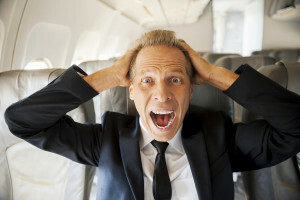 Below are some helpful tips to be as relaxed on your flight as you will be on vacation. Do you remember a time when you could do your favorite activities without pain? Remember when your favorite sports, say, golf and tennis, were fun and pain-free? Never let the fear of pain keep you from playing the game. 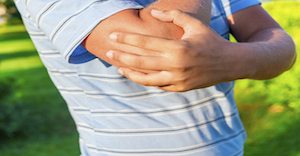 This statement might pertain to you if you are suffering from elbow pain caused by Golfer’s Elbow or or Tennis Elbow.. Both of these are forms of elbow tendonitis but differ on the location of the damage to the tendon. When suffering from Tennis Elbow, the tendons on the outside of the elbow are affected, while damage to the tendons on the inside cause Golfer’s Elbow.